Designed for the convenience of healthcare professionals, our Essentials 5 Oral Hygiene Pack is part of our Procedure Park collection and contains key items needed to perform oral examinations. Each item is individually wrapped, fully sterile and measured out to provide 5 individual quantities, making it quick and easy for those in the medical field to complete their oral hygiene jobs to a high standard. All items are also latex free to reduce the risk of irritation or flares with those showcasing allergies. 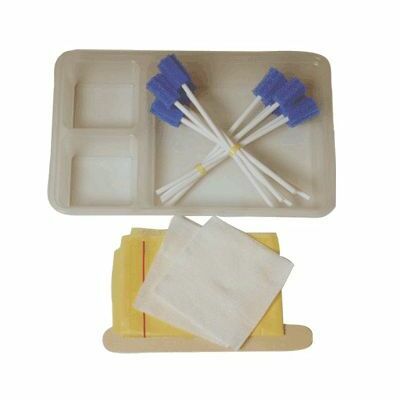 10 x blue mouth polygum swabs. In our Essentials Procedure Kits range, we also have a 3 Catheterisation Pack and our Latex Free Wound Care Pack.